Oscar-winning actress -- via the Hollywood Reporter. She won for Written on the Wind (1956), AKA Dorothy Maloney. Her first film role was in 1940. She made an impression in a scene with Bogart in The Big Sleep, as the Acme Book Shop proprietress. 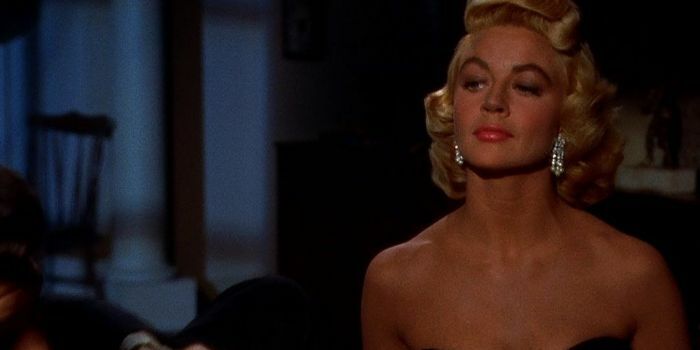 Her big role was a great one -- the self-destructive, alcoholic, nymphomaniac Marylee Hadley in Douglas Sirk's subversive melodrama, Written on the Wind. Lter, she scored as Constance MacKenzie on TV's Peyton Place (1964-1968).